Comprehensive search capabilities enable users to quickly locate any assets. 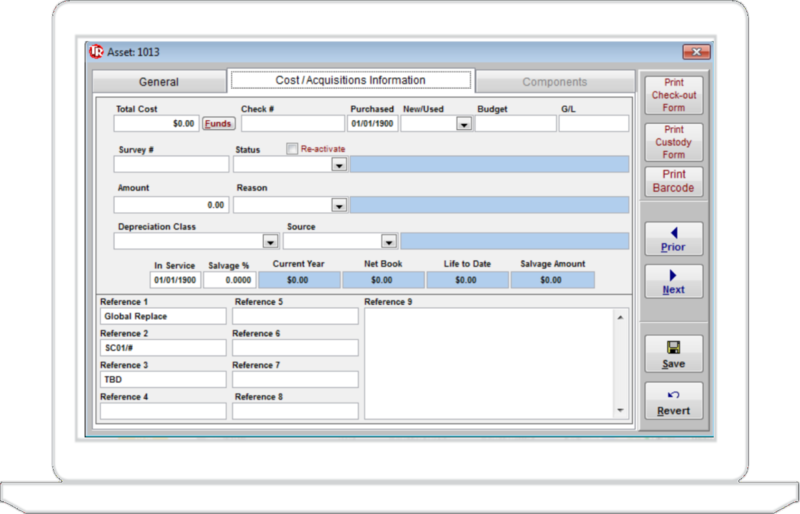 Track critical information such as asset class, type, uses, owner, vendor, condition, serial #, purchase order and more. include missing and new assets. 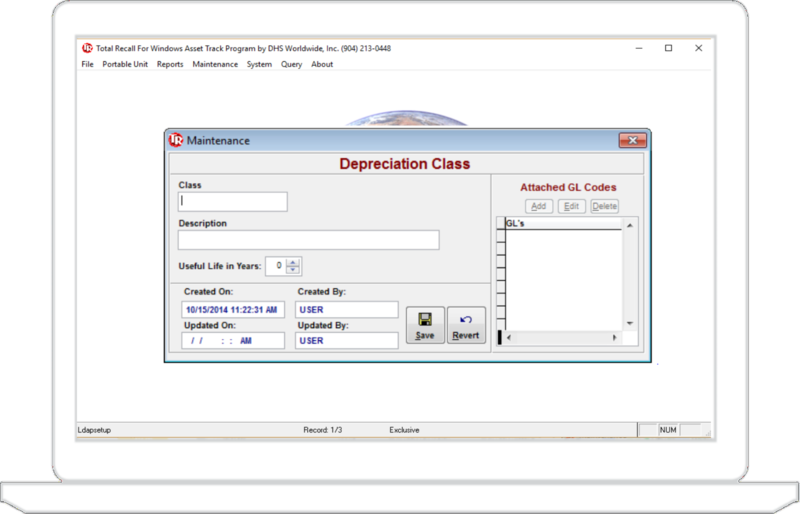 Manage the asset’s depreciation schedule and depreciation amount. Up to 10 sources of funds may be tracked for each individual asset. Integrations available to outside ERP systems. View and manage Organization's Assets. Track status, location, use, class and more. Track Depreciation Schedule and Amount. Track up to 10 Fund Sources. Reports Include Assets by Location, Class and More. Query Options Available with Export Features (i.e. CSV). Load Assets to the Scanner Location or Building. Asset Inventory Reports Include Missing and New Assets.